I'm looking for someone preferably in the North Hertfordshire or South Bedfordshire area, near Stevenage for advice and help with building simple robotic arms for use in a pan and tilt head for a camera. Our R&D team can help you with your project. 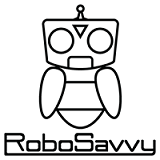 Please contact consulting@robosavvy.com with your project specifications and we will get back to you asap.